Happy Tuesday! Today, I am so excited to feature one of the most creative and nicest people that I have ever had the pleasure of meeting. Her spirit, decorating style, and overall personality makes her the perfect person to re-introduce the Creative Spotlight. Some of you may be familiar with her blog, while some of you are just getting introduced to it..but either way, you are going to or already love her! Enough blabber and on to the Spotlight! I am talking about Brandi with Don’t Disturb This Groove. Brandi loves to create pretty things and decorate her home on a budget, and take it from me…she is highly successful in both. While deciding which questions would be fun to ask, I decided that I wanted to show bloggers and other creative folks in an everyday light, because through it all, we are humans. Brandi rocked her answers, just as she does her blog posts. My blog is a place to share my creative interests. Tell us a 3 interesting facts about you? 1. When I cook I often pretend that I’m Ina Garten and I’m hosting my own show. 2. I’m easily distracted by beautiful flowers. How long have you been blogging, and why did you start? I wrote my first post in September, 2010. I started blogging in hopes of showcasing my creativity and inspiring others to do the same. What has been the most rewarding experience from blogging? Meeting new people. I’m a very social person. What has been your ABSOLUTE favorite project you completed, and why? 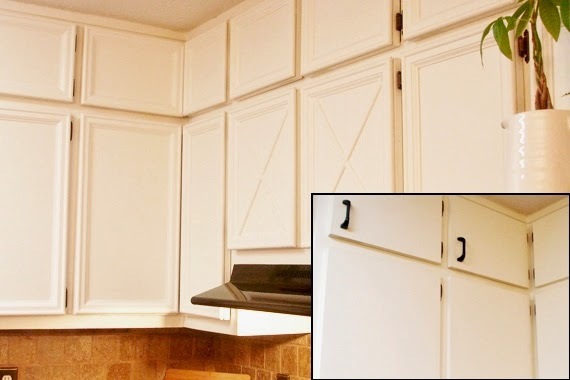 Updating my kitchen cabinets on a budget. We gave our kitchen a new look by updating the cabinets. My kitchen is easily my favorite room in the whole house. I spend the majority of my day in the kitchen. It’s the heart of our home. Any networking ideas? How do you like to meet other bloggers/readers? Social media, visiting other blogs, joining link parties and engaging with other bloggers. I am happy that Brandi does not only have a blog that I love, but that she is truly my friend. I actually met her by lucking upon her blog and emailing her and asking about setting up some time to have lunch. We have been buddies every since.Goes to show you that you never know who you are meant to meet in life. Make sure that you pop over to her blog and subscribe. Oh, and make sure you have several hours to spare because you are going to fall in love with her projects! Thanks for stopping by! Until next time. Previous Post The Creative Spotlight is Back! Great spotlight! I adore Brandi and her outgoing spirit. And the fact that she is so talented to boot!! We definitely need to meet up soon. Brandi is such a sweet person! I've had the pleasure of meeting her this past year and she was nice and welcoming just like her blog. Love your creative spotlight! I was thinking of starting something similar as a series on my blog for the summer. Awe shucks, you guys are the sweetest! Thanks so much for your words, Erin! I'm so glad we met. Loved this spotlight! Great to learn a little more about Brandi! Yes Brandi is a great person. i am happy that you enjoyed! Brandi is such a sweetheart, when I came across her blog I was so happy!! I love meeting like-minded people though blogging it totally opens are whole new world of friendships! Great Feature! Brandi is wonderful and I love her blog too!